I think I'm guilty of starting too many individual threads for small projects/updates... will just post everything under this one now. Anyhoo... wanted to go through the buggy to ID all the components for future repairs/part ordering. Only thing I am not 100% on is which heads are installed. There is a casting stamp showing 043-101-355C, it has double springs... but that's all I know. - Speedhut GPS speedo, tach, oil temp, oil pressure gauges. Any issues you buggy vets see that I should change/upgrade? Thanks again to Rob (member manxbuggy) for sending me the SandRover emblem. 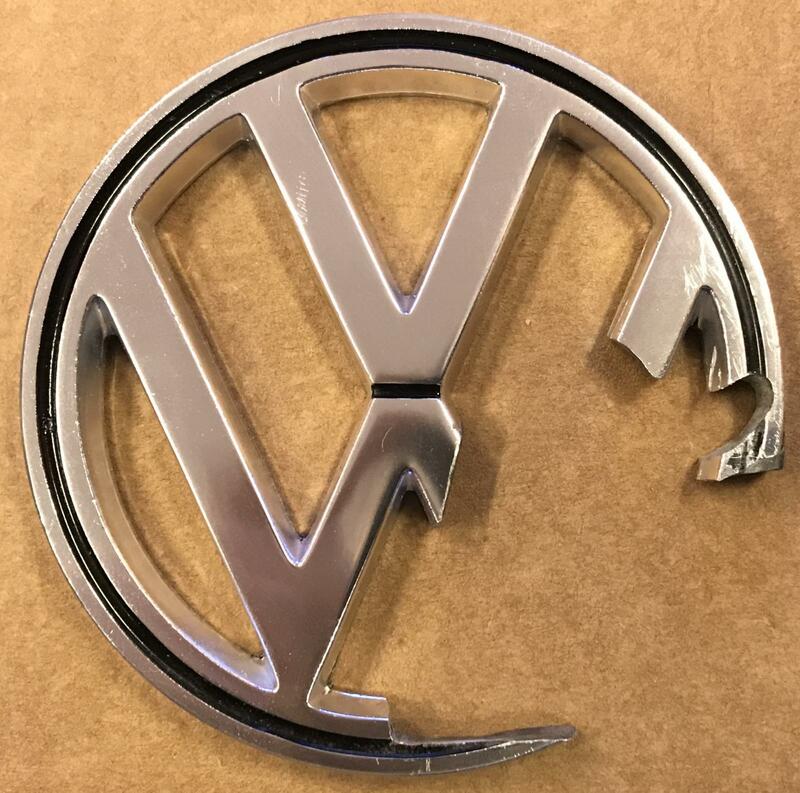 Sorry to the purist VW enthusiasts out there, but I had to hack up an emblem for this project. Here it is after the dremel and files had their way. I filled the VW channels with some JB weld to prevent water/dirt from collecting, then sanded it back into shape and hit it with some plastidip. The SandRover emblem just needed some toothpaste, , a rag, a little time, and a few shots of clear coat. Really happy with how it turned out, very clean and shiny. 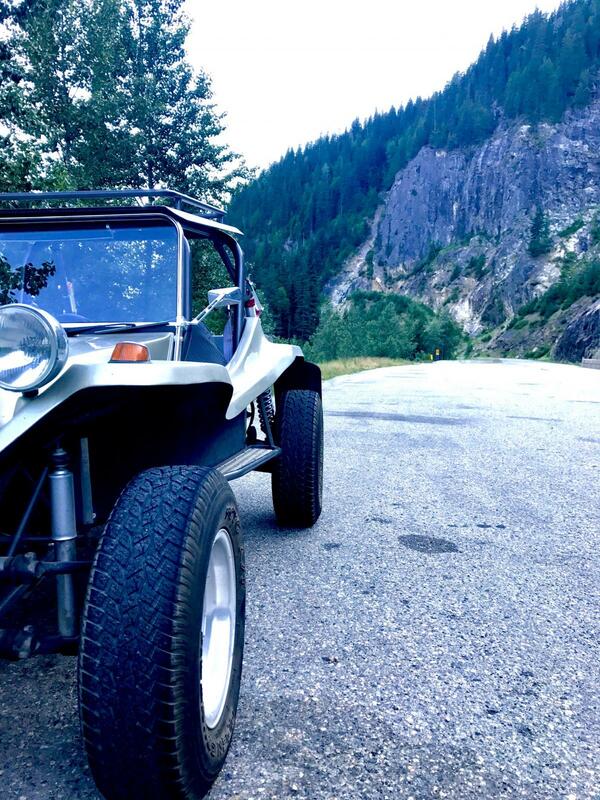 Not sure if I have mentioned to you before but I really like your buggy and what changes you have been made! great work. Even though styles differ (your offroad vs my Street) I too have a sand rover T bug and like to see more of them on the road. Keep up the great work! Also, congrats on the emblem! That turned out pretty cool! I have been searching for years for one and have come up empty.. SO if you ever decide to sell it or find another please let me know... I have been thinking of having one made via 3d printer but would rather have an OG..
anyway Looking forward to seeing more updates in the future! Knowledge is Power Read and Learn !!! Sounds good bpritchert87, can't see myself selling the one I have, but if I come across another one I will grab it for you. Thanks Dave, appreciate the info! Nice job on the emblem, looks sharp. 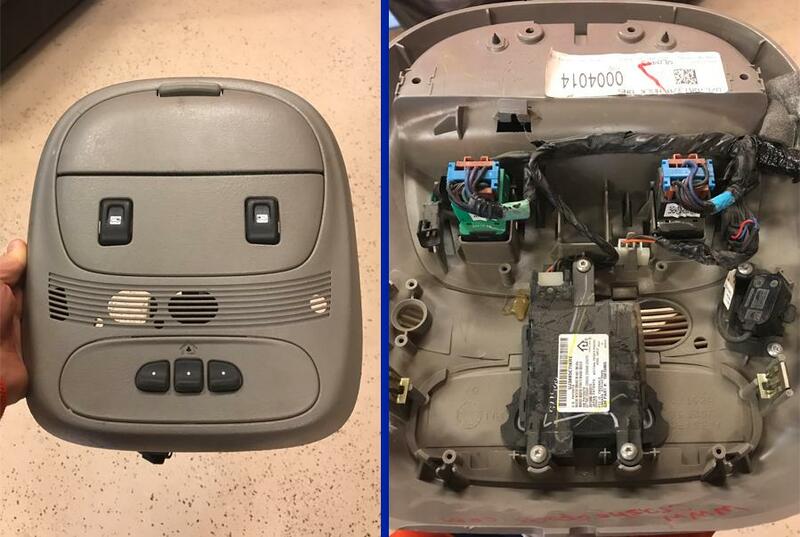 Bought a overhead module from a 2008 GMC Envoy for $15.00, removed the Homelink garage door opener and scrapped the rest. Never played with a circuit board before, but what's the worst that could happen... removed the center button and hooked up to a battery then used a wire to test where to install my new wires. Watched some YouTube videos on how to solder a circuit board and gave her a shot. Drilled a hole to run the wire through, and used glue gun once done to give some more stability. Cut off the original tabs from the box, and the center pole of the button cover then glued the button cover in place. I kept the button cover to use for the outside buttons as they are required for resetting/programming the opener. 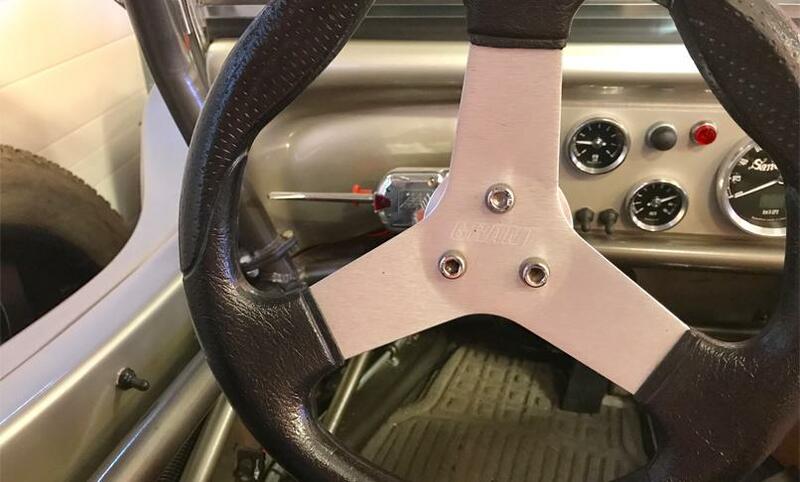 Going to use Velcro tape to mount it under the dash, and waiting for delivery on a throw switch that matches the ones used on my dash to finish it off. Already know where I'm going to install it, now just checking tracking numbers three times a day and waiting. Nice. Been in the business for many years, first time I have seen somebody morphidite a home link transmitter. some advice for others. Genuine home link has a outline of a house near the led. If not, it may be a Lear car to u universal remote control, They are almost as hard to program as it is to say it. Also pre 2012 home link is spotty on working with the latest openers, like my q or security plus 2.0. If you feel a need, here is home links phone so compatibility can be checked 800 355 3515. This one was a genuine Homelink which worked out great, I printed the relevant pages from the GMC Envoy owners manual and have a nice little operators manual for the remote now. I have a newer garage door opener with learn button and had no problem programming. The switch finally arrived, and I finished installing the remote. Put the switch just below where my thumb hangs when my arm is resting on the sidewall. Brought the wire back in after it cleared the dash and mounted the remote next to the fuse box. Going to spray the back of the switch/wire with truck box liner to add some protection and finish it off. I have been poking around for awhile now to find a shop to finish off the gremlins that were beyond my comfort level. The only leftovers from the engine failure when I originally purchased the buggy and had the engine failure during the 950 mile drive home were the 3 rounded valve tips causing valve lash issues, and would not accept lash caps. There are no ACVW shops up here, and haven't heard any great reviews for shops in Edmonton. We had an upcoming vacation to Kelowna and Vancouver so started digging for shops on the route and found one with good reviews in Vernon. Tried to borrow a trailer for the trip with no luck, but was lucky to find a towbar for sale and picked it up for $250 a couple of days before the trip. 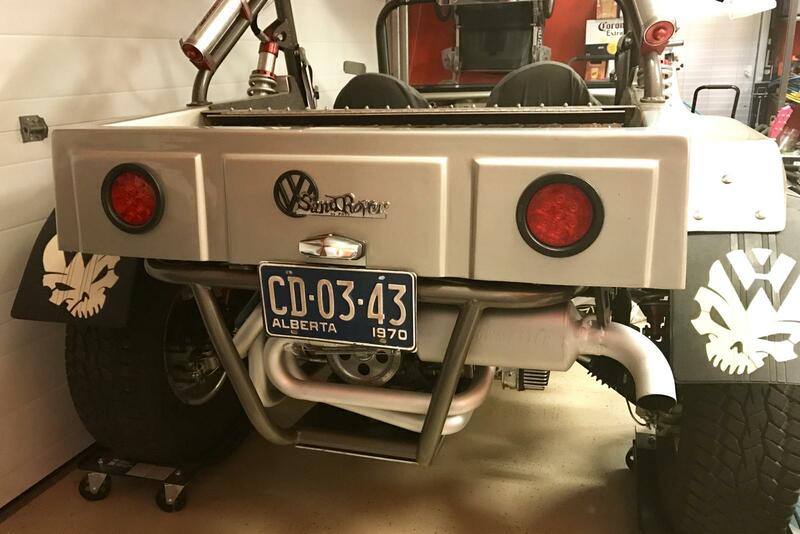 The buggy was already wired for towing, and was built with towbar receivers, and safety chain anchors so it was a match made in heaven. 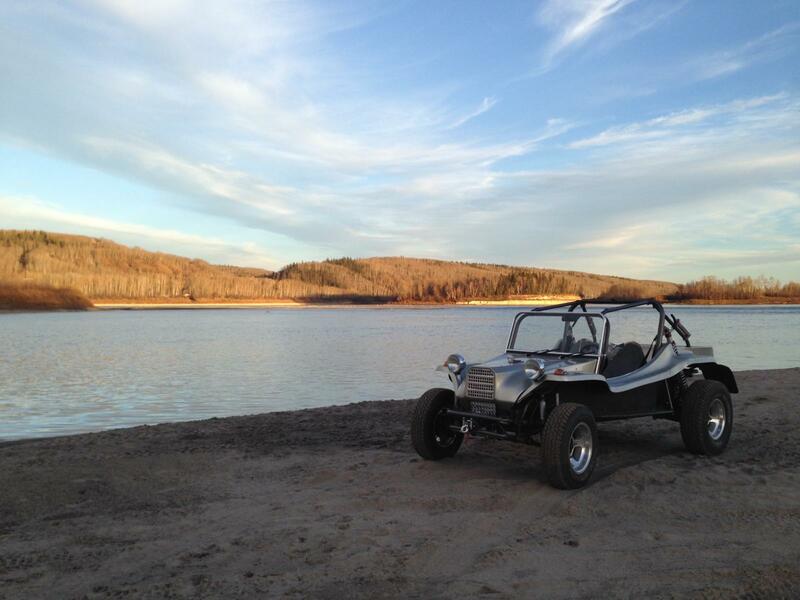 The buggy towed like a dream. 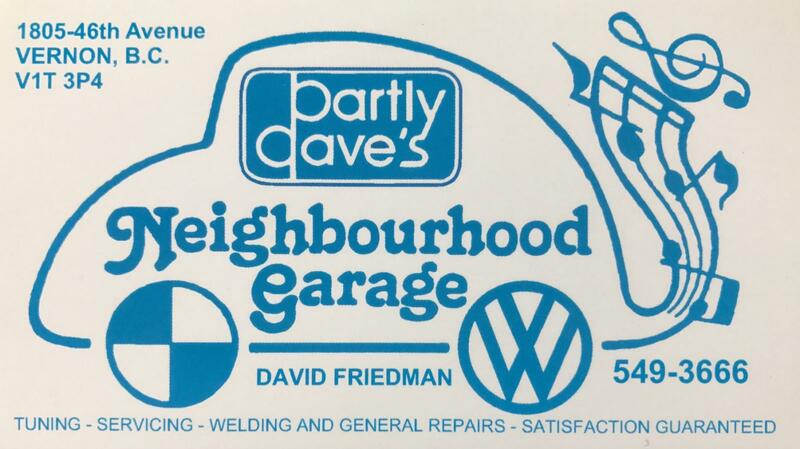 Once we arrived in Vernon I dropped the buggy off at Partly Dave's Neighborhood Garage. Dave's been in the ACVW business since 1982, loved the old school vibe, they were fantastic and exactly the type of shop I was looking for. Instead of changing out the 3 damaged valves they found there was still enough clearance over the spring retainers to grind the stems back to flat. Great fix that saved me a lot as well. Threw in lash caps, and elephant feet adjusters, then dialed everything in. After every interaction with Dave it felt like he legitimately cared about the customers and wanted to do what he could to help you out. If you're in the area, highly recommended! 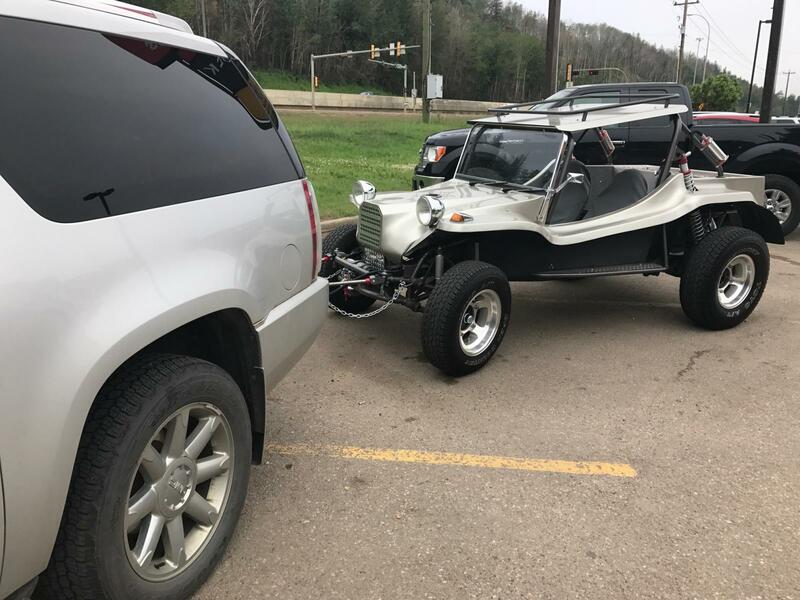 Dragged the buggy back home and she finally runs great, more time making the daughters smile, and less time in the garage. i'm not an 'expert' by any stretch of the imagination but i'm curious...why 2 fuel pumps? bocar mechanical and facet electric? edit. Oh and nice buggy! Thanks Laxkraap, the builder told me he used the electric after the buggy had been parked for awhile to give more "umph" to the carbs. I've never had to use it to start the car, came in handy once when I used it to drain down the gas tank. where can I buy that emblem?? Questions? Email me/call me & I will answer any question with my honest and sincere answer. If phone is busy, please leave me a message to call you back -Thank you. I was very lucky to have one passed on to me... I have never seen another for sale. Good luck in the hunt.